If you want to make this hat, you will need the following items: Bernat Felting Natural Wool (Folklore), number 2 or second smallest round knitting loom. Ewrap the first 5 rows then purl the next 5 rows, pull your first stitches over the pegs and knit over. This will make your brim. Finish ewrapping to make the hat as long as you wish. Use the gathering method to finish off. 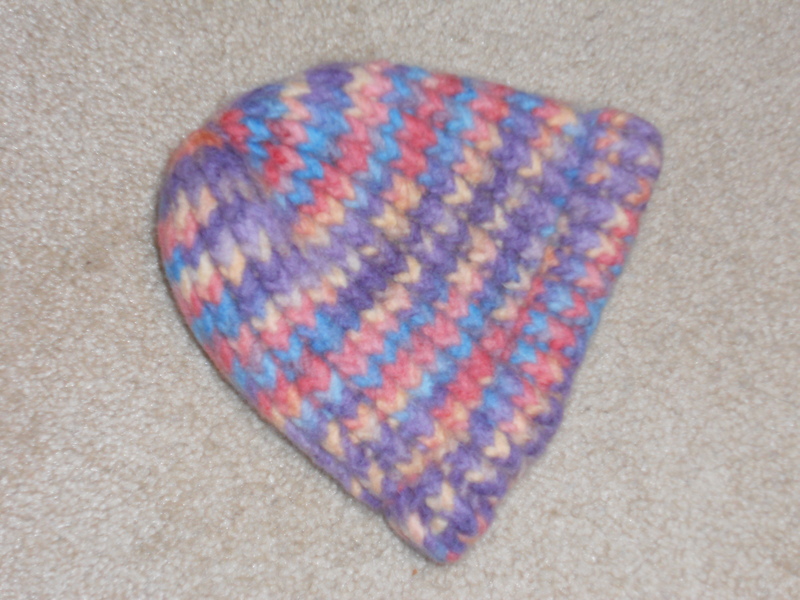 For more detailed instructions see my other post entitled “Loom Knitted & Felted Infant Hat” and use these instructions for the brim. Whala! You are done! It takes no time at all and you will have a blast.